Hines served as development manager in overseeing the construction of San Diego State University's (SDSU) Tony Gwynn Stadium in San Diego, California. Completed in 1997, the project was made possible through a generous gift from Rebecca and John Moores, the owners of the San Diego Padres baseball club. The stadium was named for Tony Gwynn, a distinguished alumnus of SDSU, an all-star outfielder of the Padres and seven-time National League batting champion. The 3,000-seat stadium includes spectacular facilities, a press box, concession stands, batting/pitching cages, locker rooms, five upper deck suites and team office facilities. 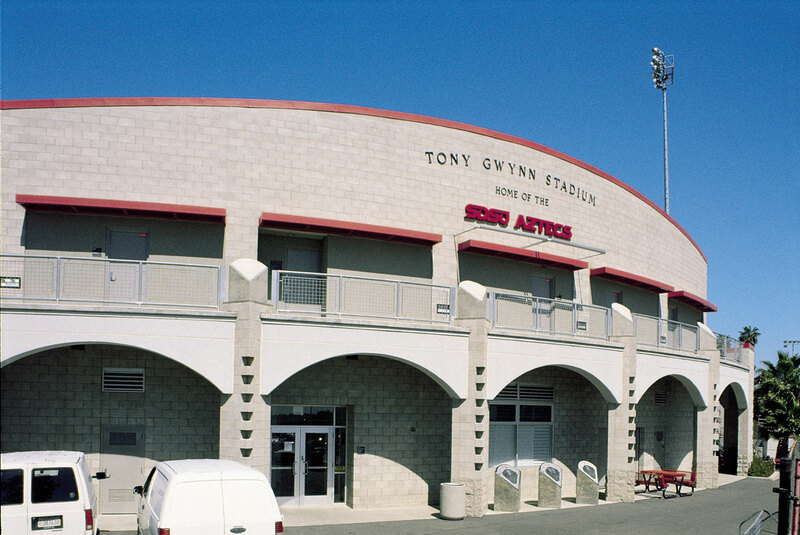 Tony Gwynn Stadium has been ranked by "Baseball America" as one of the top-five collegiate facilities in the country for its overall design, functionality and atmosphere.